Recently, I read a discussion in which people were talking about the ways they hold themselves back and cause themselves to fail at their dreams. This got me to thinking about all of the habits and mindsets we use, sometimes unconsciously, to hold ourselves back, and trust me, I’m even guilty of some of these. This is something I've talked about extensively on Making Sense of Cents – how you are often your own worst enemy when it comes to reaching your dream life. We all do have things that hold us back, and I don’t want to overlook or underestimate the difficulties people face on a daily basis. But, today, I want to talk about a few ways people self-sabotage and may fail at reaching their potential, then robbing themselves of their dream life. Reaching success isn't easy. If it were, then it probably wouldn't be called success. Success and reaching your dream life takes hard work, a can do attitude, and more. And, yes, I do realize that many people, all over the world, face and endure hardships. 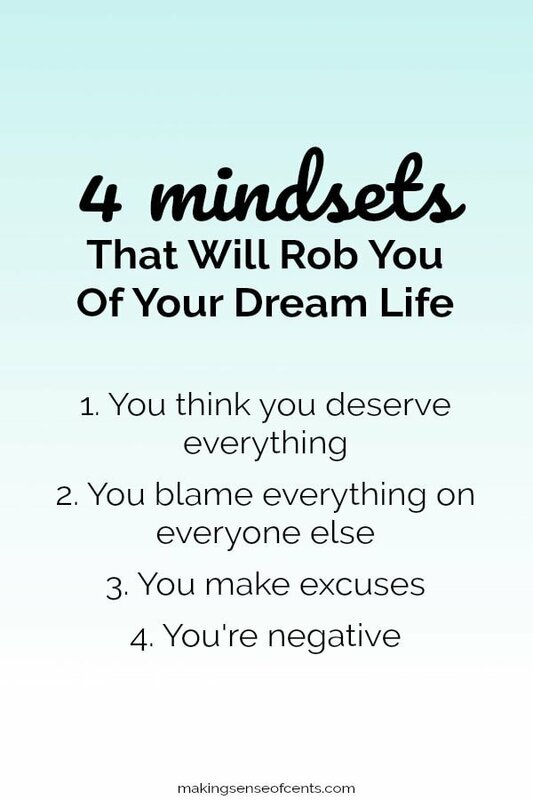 However, in today's post, I'm talking about people's mindsets, and how unhealthy mindsets can hold you back, even if you have all of the tools you need to make your dreams a reality. For Those Who Want Life To Speed Up – Are You Dreaming Too Much About Tomorrow? Here are 4 habits that will rob you of your dream life. 1. You think you deserve everything. This will be hard to hear for some, but it is the truth. Thinking that you deserve everything can be great if it is something that gives you motivation to do better and reach your goals. However, thinking that you deserve everything in life can also absolutely wreck your finances, destroy your mindset, and cause you to negatively compare yourself to others. So, it's a double edged sword. In order to be successful, you'll have to put in hard work. Good things don't always come easy, and you don't just deserve that dream life, you have to work for it. What I mean by this is that the average person has a lot of debt and many times it is because they think they deserve everything and confuse wants with needs. 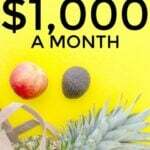 They might have credit card debt, loans on furniture, a mortgage, a car loan, and more. 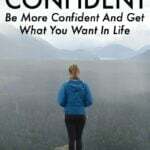 If you want to improve your financial situation, whether this means getting out of debt or to stop living paycheck to paycheck, you are going to have to face one major thing – distinguishing between wants and needs and changing this mindset. Some items are needs, but many of the things we buy are actually wants. And, confusing wants with needs may be causing you a lot of financial stress. To quickly determine the difference between a want and a need, think of a need being something required for survival. Needs are water for drinking, food to eat, clothing to keep you warm, and shelter to live in. On the other hand, a want is everything else. Wants are there to make life a little more enjoyable. And, we should all be enjoying our lives. However, some people think cell phones, massive homes, gym memberships, cable, going out to eat, and so on are all necessary. But, they really aren’t. 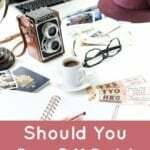 If you cannot afford to save money or find yourself going into debt for your wants, then you need to start cutting these items out of your budget and your life, at least until you get your financial situation and spending under control. Wanting things isn’t a bad thing, but it’s about being realistic with yourself and what you can actually afford. Learning to make better choices and to differentiate between wants and needs will help you stay out of debt and reach financial freedom sooner. Learning how to control your spending will help you for years into the future, especially as your income grows. By understanding the difference between wants and needs, you'll be able to cut some unnecessary spending, improve your financial situation, and reach your dream life. 2. You blame everything on everyone else. When you find yourself in a tough spot, whether it be a financial hardship or life setback, some people find themselves blaming others for their problems. I think this is probably a pretty natural feeling, but the problem with it is that when you blame your inadequacies on others, you are holding yourself back from making a positive impact on your own life. Blaming others can come when you don’t get the promotion you wanted, when you purchase something you couldn’t really afford, or just believing you should have something because someone else does. In those moments when you find yourself pointing a finger at someone else, rather look at this moment as an opportunity for personal growth. Setbacks are only setbacks if you let them hold you back. No one else but you gets to choose how you handle those moments of frustration, how you move forward, and how you grow as a person. By blaming someone else for your hardships, you are missing an opportunity to grow. Whether it be financial, career, health, or something else, there are some people who believe that it's all because of someone else. If you find yourself blaming others for your failures, then you are just holding yourself back and contributing to a negative mindset that can do even more damage. Realize that you may be at fault. We all make bad decisions from time to time, and we aren’t all the best at everything we try. If you didn’t get the promotion or job you wanted, you might not yet be qualified. That’s not a reason to blame someone else. Or, maybe you made a bad spending decision, while that’s likely on you, it’s also a moment to reflect on your decision and make a positive change in the future. Learn from your mistakes. Like I said, mistakes will be made, and it doesn't mean that it's entirely negative. Instead, you should learn from what happened so that you can improve for the future. By learning from your mistakes you are turning what may have been a bad decision into a good future decision. Plus, the bottomline with blaming others for your problems, is that it is a waste of your time. This is your life, your time, and your opportunity to reach your dream life. If you put your energy into bettering yourself rather than blaming others, you will likely be able to make changes for the better. Making excuses is a mindset that can definitely rob you of your dream life. This bad habit can hold you back from your dreams, success, retirement, and more. To put it simply, excuses prevent you from living the life you want. You're giving up before you've even started. We make excuses for all sorts of things, like why you can't get the job you want, why debt can't be paid off, why you need a brand new car, and so on. Now, I'm not saying that life isn't difficult because everyone has experienced difficulties – no matter how perfect you may perceive a person's life to be. We are all guilty of making excuses, and I know that people will continue to make them until they realize that excuses are just that – excuses. As a personal finance expert, I hear a lot of excuses for why a person can't save money, pay off debt, live the life they want, reach retirement, and so on. There are plenty of legitimate reasons for why some people have financial setbacks, but there are still many people making excuses for why they can’t achieve their goals or why their life is bad. 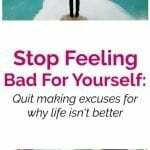 So, right now, I want you to stop feeling bad for yourself, stop making excuses for why someone has a better life than you, stop making excuses for why you can't reach your dreams, and more. You won't fix your problems by making excuses. Instead, you are likely causing undue stress and anxiety that leads to even more problems. 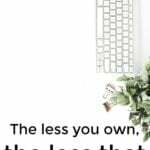 If you want to stop living paycheck to paycheck, if you want to have money in savings and for retirement, and to take control of your financial situation, you'll have to start owning up to your mistakes and finding a way to change things for the better. If you really want something in life, you can have it, but you will need to not only put in the effort it takes to making your dream life a reality, you will have to stop making excuses for why it feels impossible. Reaching your dream life will take time, and there might be setbacks, but your goal is only impossible if you quit before you get there. 4. You're being negative and not seeing the wonders already around you. I want you to stop reading for just a moment and think of something you are thankful for. Do you have a roof over your head? Do you have someone that cares about you? Maybe you made someone smile today. These are all positive things in your life, but sometimes we find ourselves only able to see the negative. The reality is, if you're reading this blog, then you probably have a better life than many other people in this world. It’s important to realize that not everyone has access to a computer, an internet connection, or a comfy spot to read from. So, the next time you think that you can't survive without something, be honest with yourself about whether or not that’s actually true. And, like I said, there are often even small joys and wonders around us if we just take a moment to see them. Complaining about things from time to time is natural. And, wanting something you don’t have is fine too. However, seeing only the things you don’t have just leads to negativity. On the other hand, being positive and grateful for what you do have can greatly change your life. Occasionally, you may find yourself taken over by negative thoughts. You may dwell on something negative for days, weeks, or even longer, whereas positive events usually aren’t thought about for nearly as long. Next time you find yourself thinking in a negative way, you should find a way to stop and think about whether or not those negative thoughts are actually helping you. I’m going to guess they aren’t helping you at all. Instead, think about something good that happened recently, something that made you smile, or something that you are thankful for. Thinking more positively is almost always a great mindset to have, and it can help change your life for the better. What other habits do you think cause people to not reach success or their dream life? Wonderful post and some great lesson here. Amen to that! There’s too much ‘victimhood’ in today’s society. Everyone is the victim of something, and keeping count or tallying up injustices doesn’t serve anyone. It’s a useless exercise. It’s best to accept that life is unfair and do something about it. It’s not what happens to you, it’s what you do about it. Yes, it is a huge waste of time. I wish more people would realize this. I wanted to pick one favorite but they’re all so good and spot on hahah! So good Michelle! Especially 1, 2, and 4. I’ve gone those….uhh…like majority of my life! Ha! It’s never too late. I still struggle with not playing the victim and giving myself excuses but like you said, it’s important to catch yourself doing these things. That’s the only way of improving your mindset and growing up. Not easy but necessary. Re: Negativity in general. I made the decision to distance myself from negative people. I’m not saying that we need to be smiling 24/7. It’s just that chronic complaining without a solution is damaging to one’s mental health. I have been ghosted by someone who I knew for 30 years, and frankly she did me a favor. All she EVER did was to complain about how horrible her life was. Great kick in the pants! I also am a huge believer that you can truly do whatever you want, you just have to have the right mindset, and keep it along the way. Couldn’t agree more with these 4 mindsets, Michelle! My fave is definitely this one: “By blaming someone else for your hardships, you are missing an opportunity to grow.” Here’s to taking ownership of everything we do!!! Great list. I think #4 is so important! Another mindset that might hold people back from their dream life is thinking there is a perfect time to act. There really is no perfect time and you just need to go for things. I used to want to know everything (impossible!!!) about a topic before I did something about it but now I learn what I can in a reasonable amount of time, and then act on it. Yes, that is a good one! I divorced my ex-husband because he went against all four of these concepts nearly all the time. It held us back financially, emotionally, and psychologically. He would always play the victim card when he was fired from a job, etc. I felt terrible and guilty for ending the relationship, but I am the exact opposite in that I know I am not always right, that I must take accountability for my actions, and that we can create a good life if we work hard (and have some luck). I love that you brought these up and I hope everyone takes some time to mull them over. We can always do better. You saved the best line for last! I find people who are constantly negative exhausting. No matter what you say to them they’ll interpret it as something bad. I have a friend like that and I hate to say I avoid him sometimes because I don’t want to listen to him complain about everything. Can’t we just grab a beer and catch up without the world coming to an end? Epic post. Life changing advice here.Thanks Michelle! I thoroughly believe that the biggest mistake that people make is not believing in themselves. They fail once and do not try again. They think that they are a major failure after that first attempt. Know what? Lots of people fail. Get back on that bike and try again. Fail again. Fail harder. Without failing, you will never learn. Yessss! You are so right! Any courageous entrepreneur striving for excellence to do the transformation business work at full strength and become a future [side hustle millionaire] understands that they must first get out of their current emotional comfort zone and quickly get used to uncertainty. Most people stay on low paying jobs and settle for less because they don’t want to take chances, though they dream of becoming a “side hustle millionaire.” Achieving side hustle millionaire status and living the dream life is possible for anyone who make healthy changes and loses the unhealthy weight of “what if,” in addition to taking chances by leaping into the abyss of online entrepreneurship. The only thing lost if a person can’t make a million bux off of affiliate marketing and internet side hustling is their motivation. The investment of purchasing a dedicated web hosting package and domain name as online real estate is an asset and no money lost. Love this and so very spot on!! Thanks for posting. I agree with all of these. I’ve seen the damage that can be caused by making excuses. It starts with just one, and the next thing you know, 20 years have passed by and yet nothing has been accomplished. I always tell people to just go for it. I’d rather make mistakes than have regrets over not doing something. That can definitely be a good decision to make. I think, especially in the states, people struggle with wants vs. needs. Materialism is like a sickness for some people. Who the heck needs a new iphone every year? Or a new car every few years. Those things depreciate so quickly. It’s simply not practical for those seeking success. I definitely struggled with blame after I was a victim of identity theft. $40k debt in five days, that I didn’t find out about until a few months later when creditors were calling me. Still leaves a bad taste. My credit score went from 805 to 429 that year. Took me nearly seven years to pay off and legally resolve that mess. Derailed so much progress and hopes I had, but alas I am still working toward my dreams, it just took me a little longer than I had hoped. Thanks for your insights. Love the blog. I think the defeatist attitude is very dangerous to one’s self. You keep going and do the best for YOUR situation as you pointed out, not comparing yourselves to others. Due to the recession and illness, my calculators show that if nothing else were to go wrong (insert laugh here) that I MIGHT have around 400,000 when it’s time to retire. Do you know how many people even in the FI community told me that that’s not enough to live on? SMH. It’s like, people, guess what? Life doesn’t go in a straight line. But I’m not a defeatist. If that’s what I have, then I’ll make due rather than look at somebody else’s ideal number and say, “the heck with it, I’ll never reach it, no sense trying”. And wouldn’t I rather have something than nothing? A defeatist mentality is to look at the big picture and say it’s impossible so why bother? No thanks. I’ll do me. You do you. Yes, the defeatist attitude is very dangerous! Wait…so you’re saying I don’t deserve everything?! quoi?! I’ll admit, I complained a lot before when I was working in a job for 6 years and when I decided to stop being negative and put that SAME energy to finding another job, EVERYTHING changed for me. Even til this day I still get emotional inside, 3 years into the job. hardwork is something that nobody can take away from you and if you yourself don’t believe in you, then why should the rest of the world? Negativity never gets you anywhere. I believe in doing your best work and not getting too disappointed by the outcome but rather, learning from it and fuelling your growth!